For many people planning a trip to Paris, the best part is the Paris food culture, which is why the first question for many is what are the best food tours in Paris? In this Paris food guide, we’ll not only show you the best food in Paris that you absolutely must try during your visit, but also provide you with some recommendations on the best Paris food tours so you can try all the famous food in Paris. Paris cuisine isn’t all about eating delicacies such as escargots (snails) and cuisses de grenouille (frog legs). The traditional French food in Paris is full of delicious pastries, chocolate, wine, cheese, fresh coffee, crusty warm breads and a variety of other scrumptious treats. Even if you have tried French food before, perhaps in your own home town, we can guarantee you there is nothing like having traditional French food in the streets of Paris. 1-Baguette: The baguette is the symbol of France and so no doubt you’ll get plenty of opportunities to try this long thin loaf of French bread with a crispy crust. Best eaten when it’s just come out of the oven and it’s delicious and warm! 2-Cafe & Croissant: The typical Parisian breakfast consists of coffee and a croissant so you’ll no doubt get plenty of opportunities to try un café and un croissant whilst in Paris. 3-Jambon-beurre (also called “Parisien”): A popular grab and go Parisian ham sandwich, it comes as a half of baguette, smeared with butter and filled with slices of ham. 4-Croque-monsieur: Another perfect sandwich when on the go sightseeing around Paris. Croque-monsieurs are filled with ham and cheese and fried with cheese on the outside. You can also get a Croque Madame which has the addition of an egg on top. 5-Steak-Frites: Put simply this French dish is steak and fries. Yes, French fries really are French! Now you have the perfect excuse to eat them whilst visiting Paris. 6-Duck confit: This dish came about when duck was originally cooked in its own fat to preserve fresh duck meat, however now it’s a popular French dish to eat once cooked rather than saving for later consumption. 7-Street-Stand Crêpes: Chances are you won’t even be able to walk down the street in Paris without passing at least a few crêpes stands. Crêpes are one of the best cheap eats in Paris. 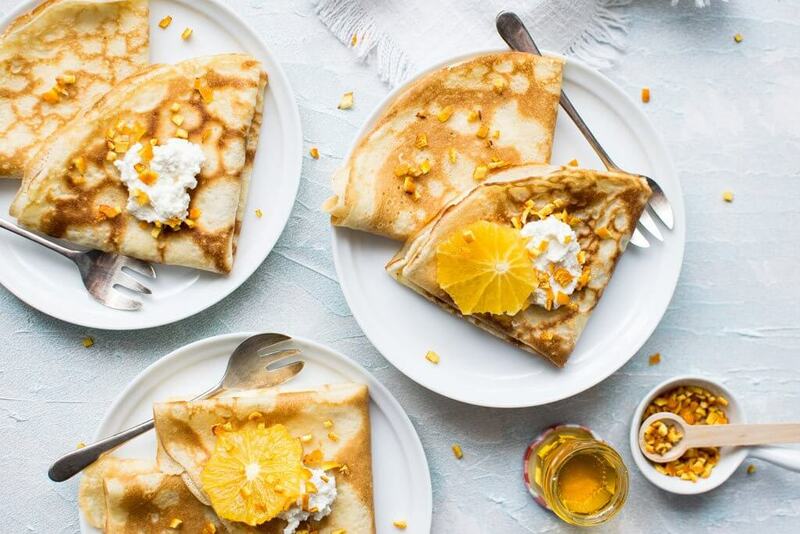 The most popular one to try is the banana and Nutella crêpe or if you prefer, try something a little savory. 8-Oysters: Any oyster fans? If so you are in luck as oysters dripping in garlic and butter are super tasty in Paris. 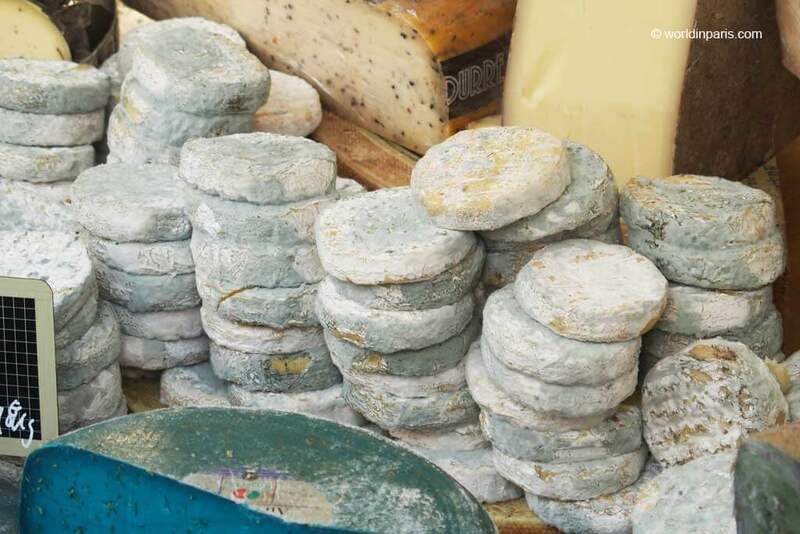 9-Raw Milk Cheese: Paris is world renowned for its delicious cheese. When tasting cheese in Paris it is recommended that you try raw milk cheese. Raw milk cheese is made with milk that is unpasteurized, this ensures the naturally occurring flavor riched good bacteria is retained. 10-Macarons: Somewhat like a cake with a meringue-like consistency, macarons are made from sugar and almond flour, making them gluten-free. They come in two halves with a delicious creamy filling and come in a range of different flavors. Macarons are definitely something you need to try in Paris, even if you have had them else before. OUR TIP: Did you know there are food festivals in Paris throughout the year? 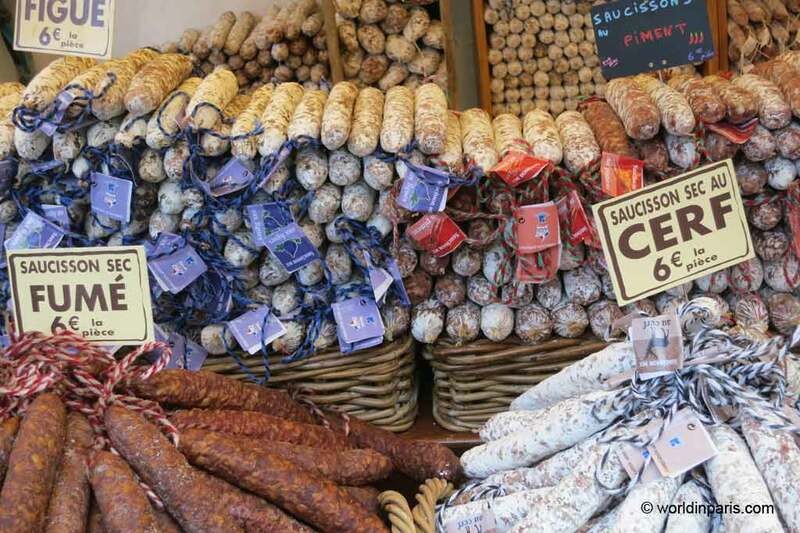 Click here for a full list of French food festivals in Paris. Of course, you can find the various French food listed above on your own as you wander the Parisian streets, but for the very best Paris food experiences we highly recommend joining one of the several Paris food tours. By joining one of the culinary tours of Paris, you will be guided by a local who knows where the best French food restaurants and shops are located, which can often be difficult to find on your own, particularly if you don’t speak French. In addition, your guide will be well versed on the traditional food in Paris and be available to answer any questions you may have. 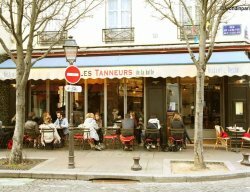 Joining a Paris gastronomy tour is also a great way to explore a particular Paris arrondissement that perhaps you are not familiar. In addition, indoor food tours are an entertaining activity to do on a rainy day in Paris or during winter in Paris, when it is too cold outside. 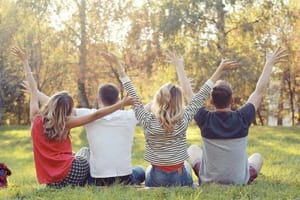 Below is a range of the best food tours Paris offers, that will have you wandering the streets of Paris, sampling some of the best French cuisine. 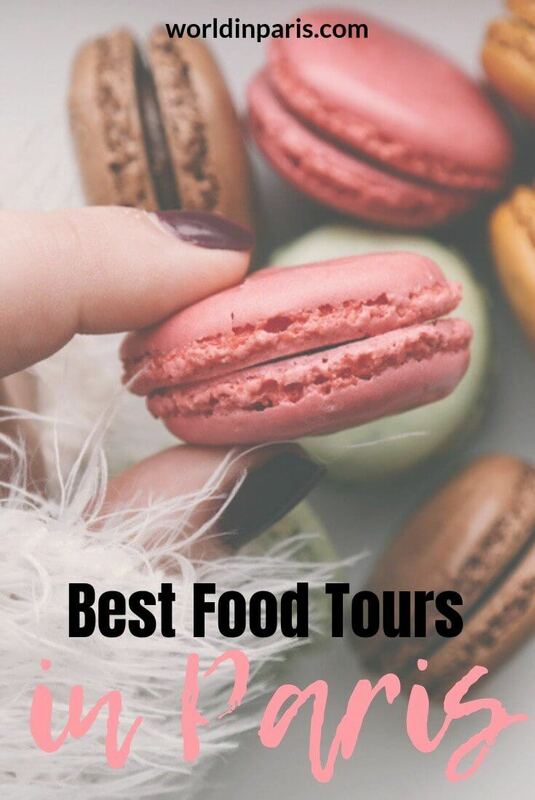 These food tours come with a knowledgeable guide on hand to answer any of your questions regarding the Paris food culture and they will give the opportunity to sample many of the top French foods listed above. During this 2-hour walking food tour Paris offers, you will stroll through the beautiful city of Paris and try a variety of French food. 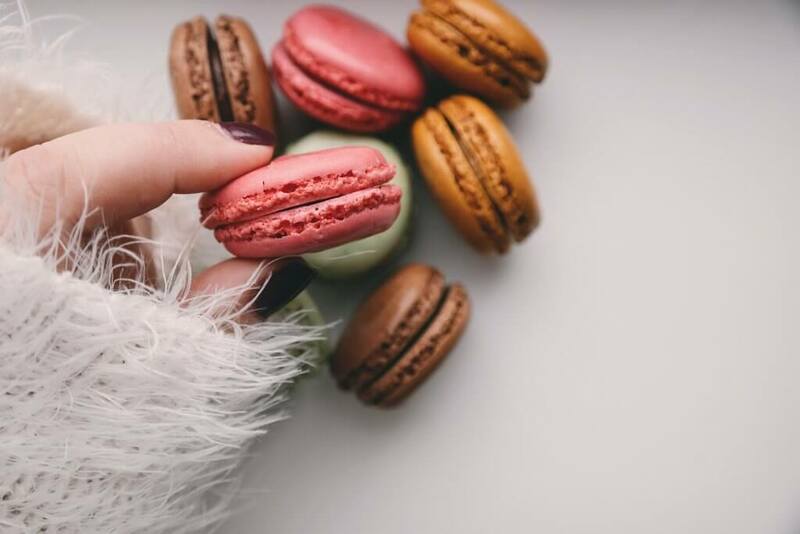 This flavors of Paris walking tour provide you the opportunity to see behind the scenes of a Parisian bakery, learn about the typical Parisian breakfast and eating habits of the French people and taste some of the bakery’s yummy specialties. Book this Food Tour Now! This 3-hour food market Paris tour takes you around the Aligre Market, one of the most vibrant markets of Paris. Here you will get to try a range of delicious fresh food as well as chat with the local shopkeepers, learn about the history of the market and learn the secrets of the food artisans. The Aligre Paris Market Tour includes soft drinks and tastings. Below are some of the best Paris food walking tours where you will not only sample some of the best of Paris cuisine, but also the opportunity to learn about the Arrondissements of Paris and the city’s most lovely neighborhoods. These Paris eating tours are perfect if you are short on time and not only want to sample a range of French food but also be guided through the local districts. This 3 hour Le Marais food tour, is a fantastic way to explore the charming Old Marais (Paris 3 and Paris 4 Arrondissements). 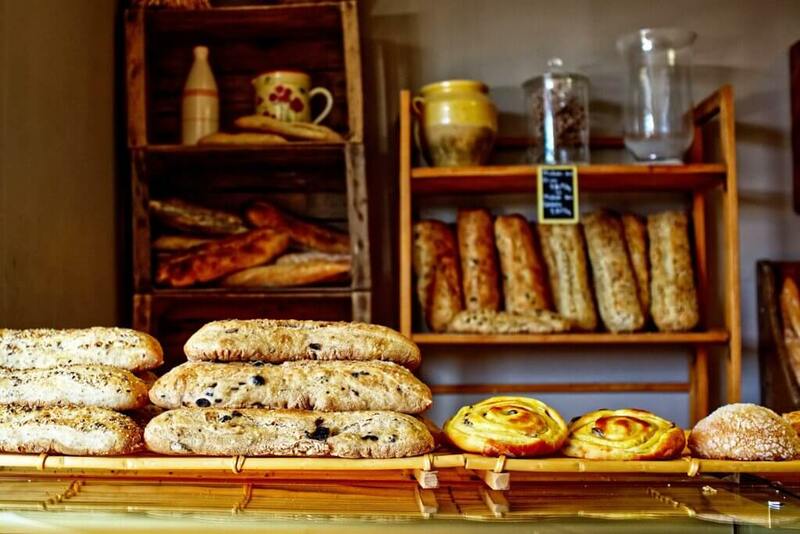 During this Taste of Marais Paris Walking Tour, you will have the opportunity to visit some of the best places to eat in Marais including boulangeries, fromageries, pâtisseries, and even a classic crêperie. Also, you will have the opportunity to sample a range of delicious food at each stop. Explore the city’s charming neighborhood of Montmartre, during this 3-hour Paris Secret Food Tour. On route, you will sample French delights such as croissants and éclairs at a local pâtisserie, a little bit of cheese tasting in Parisian fromageries and black sweet treats at a classic chocolaterie. Explore Saint-Germain-des-Prés, one of the most beautiful neighborhoods of Paris, and sample some of the very best in Paris cuisine. 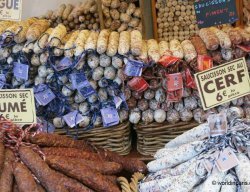 During this 3-hour culinary walking tour Paris offers, you will explore Saint Germain’s hidden narrow streets, whilst sampling cheese, wine, cured meats, chocolate and pastry at some charming food shops that have been selected for you! On route, you will also see beautiful churches in Paris, art galleries and iconic places such as Les Deux Magots café and Brasserie Lipp. During this 3-hour Canal St Martin walking tour stroll the picturesque Canal Saint-Martin, constructed under the rule of Napoleon I, whilst sampling various tastings along the way. This Canal Saint-Martin tour will take you to a hidden indoor market where you can try fruit, charcuterie, bread, and pastries and conclude the tour at a wine and cheese bar. An article on the best Paris food tours cannot be complete without cheese tasting in Paris. French cheese is an important part of Paris food culture. Cheese is usually bought in establishments called fromageries and it is served after the main course and before the dessert (yep, “cheese” is cheese, not a dessert). Most of the cheese tasting Paris food tours also come with wine tasting and they will be covered in our Wine Tours in Paris post. The cheese tasting tours selected below are perfect for the people who do not drink alcohol or they are not interested in wine. This cheese tasting tour takes place in a cellar, below the cheese shop Fromagerie Saisons. Cheese geeks will learn about the major French cheese terroirs and how to taste cheese like expert through entertaining group games. Finally, it will be time for the real cheese tasting: 6 kinds of artisanal cheese paired with six unique beverages (wine, beer, cider but also juices). This cheese tour is a fun and entertaining way to spend a couple of hours in Yummy Paris! Calling all lovers of French sweet treats, these pastry and chocolate tours in Paris are for you! These walking food tours of Paris will have you tasting the finest pastries and the best chocolate in Paris. This 2.5-hour Paris chocolate tour and tasting takes you to the best chocolate shops in Saint-Germain where you will get to sample some of the best chocolate in Paris including chocolate delicacies such as the chocolate éclair, homemade macarons, and delectable truffles. During this Paris chocolate walking tour, your guide will teach you a few things about French chocolate along the way, including the history of chocolate making in Paris. This Paris pastry tour will have you spending some time in the kitchen of a French bakery where you will learn the secrets to French baking. An expert French baker will share their tips and tricks that make French pastries and breads so delicious. During this hour-long French bakery tour in Paris, you will also get to take home with you a freshly baked baguette and croissant. During this 3-hour Paris chocolate and pastry tour, you will pass by Paris’ iconic monuments whilst sampling delicious chocolates, pastries, and freshly baked bread from some of the finest Paris pastry and chocolate shops. This Paris gastronomy tour is for all the lovers of French pastries. During this 3.5-hour chocolate and pastry tour in Paris, you will make around 10 stops to bakeries and pastry shops where you will not only learn about the history of the cakes, breads, chocolates and other sweets but get to sample them too.